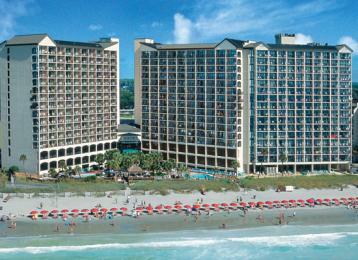 Beach Cove Resort - Customize Your Milestone! Customize your vacation your way! If you're celebrating your retirement, consider choosing a souvenir mug and unlimited coffee, a late checkout, and a morning of breakfast for 2! Also included are the oceanfront Town Center and arcade. For more information call 855-394-5325.